The Chipotle chile is the Jalapeño chile, that has been ripened, dried and smoked. Its name comes from the náhuatl Chilli or Chile, and Poctli or smoke. The process of drying and smoking Jalapeños has existed for centuries, even before the Spaniards arrived. It was considered a way to preserve chiles for long periods of time and also bring out their interesting qualities. There are different kinds of Chipotle chiles, all of which are spicy, smoky and rich. 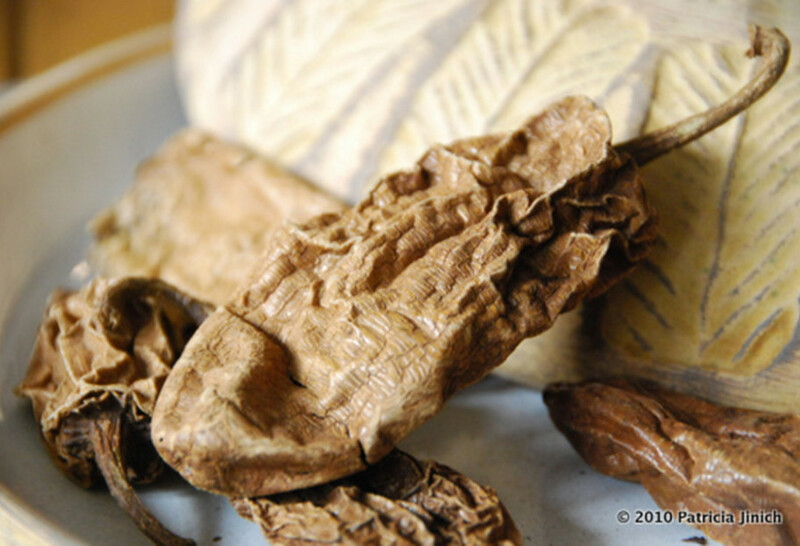 This photo shows two varieties of Chipotles. 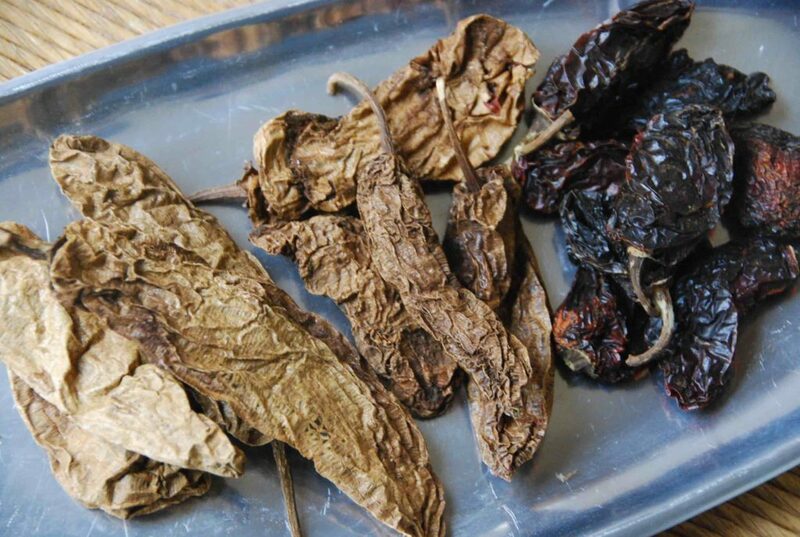 On the left we see the longer Chipotles mecos, and in the middle we see medium sized Chipotles mecos. All the mecos come from a larger variety of Jalapeños. On the right we see the smaller Chipotles moritas, which come from smaller varieties of Jalapeños with a slightly different flavor and a bit more fragrant smell. One of the more popular spins of any Chipotle chiles are when they are pickled and preserved in adobo sauce and turned into Chiles Chipotles in Adobo Sauce. Another popular take is when they are pickled in vinegar and spices and become Pickled Chipotles. But they are also used regularly, as they are dried and smoked, for many dishes, stews, soups, sauces and moles. Pati: You are so talented !! I love watching you cook and your sons grow up. Whh do you call him Ju Ju ? I Love to make Chili but can not have the hot spice. I can put in red pepper flakes, as it is mild. What wouldvyou substitute? I enjoy you traveling throughout the Yucatan !! Very educational. Juju is his nickname from Julian! You can just skip the chilies or just add a few without the seeds to fit it to your taste. How do I make my own chipotle chiles from fresh jalapenos? Hola Tiffany, It’s a process of drying them and smoking them slowly over a fire or grill. Thank you for posting this. My roommate gave me some dried chiles a while ago and I looked at them feeling like I was failing my “Mexicanness”. I had no clue what kind they were. They smelled smoky, but other than that… I stored them just in case. Now I see they are medium-sized mecos. As always, you teach me something new about my beloved food. I know! All those kinds of chipotles can be confusing!! So glad you find all of this helpful… Besos back!